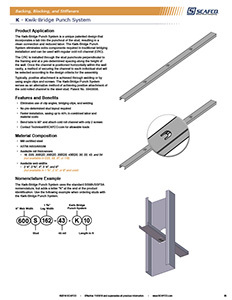 Kwik-Bridge Punch System is a unique patented design that incorporates a tab into the punch-out of the stud, resulting in a clean, labor-saving connection for CRC. The Kwik-Bridge Punch System eliminates extra components required in traditional bridging installation and can be used with regular cold-roll channel. 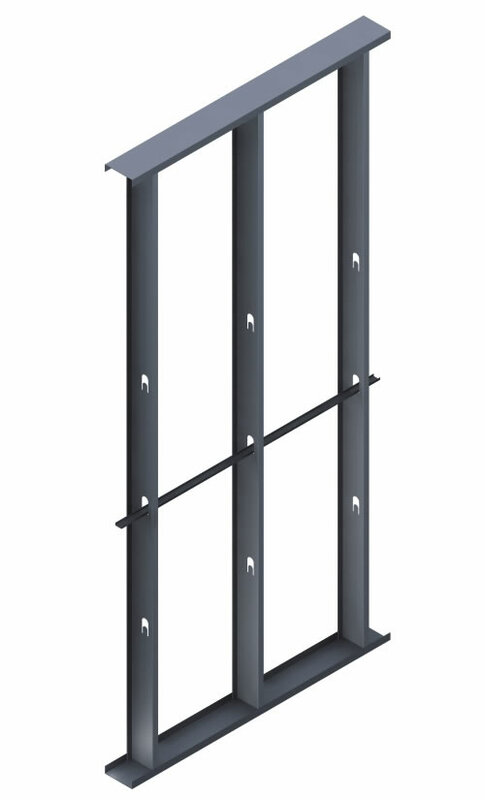 The cold-roll channel is installed through the stud punch-outs perpendicular to the framing, at pre-determined spacing along the height of the wall. 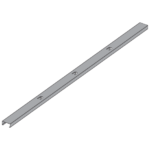 Once the channel is positioned horizontally within the wall cavity, a method of securing the channel to each individual stud will be selected according to the design criteria for the assembly. Typically, positive attachment is achieved through welding or by using angle clips and screws. The Kwik-Bridge Punch System serves as an alternative method of achieving positive attachment of the cold-rolled channel to the steel stud. Kwik-Bridge Punch System uses the standard SSMA/SSFSA nomenclature, but adds a letter “K” at the end of the product identification. 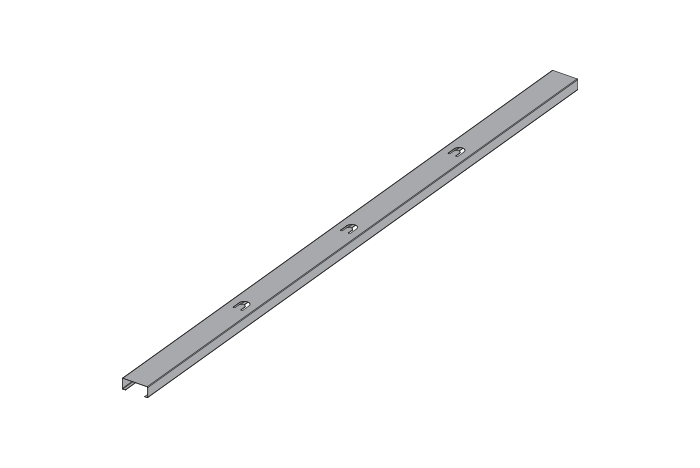 Follow example when ordering your studs with Kwik-Bridge Punch System.